Residents in southern India's Coimbatore city have urged the government to address pollution levels in the region's river Noyyal, where a huge volume of toxic froth has accumulated. 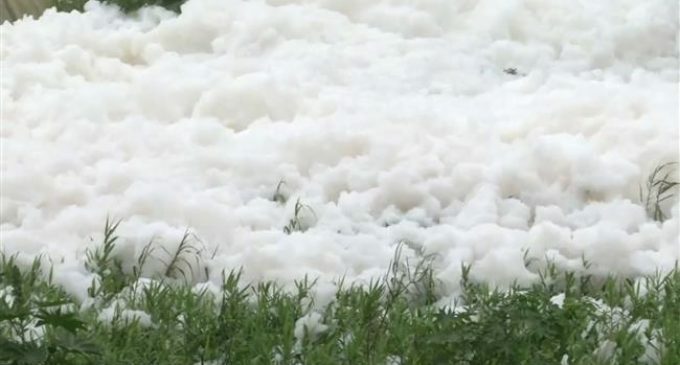 The pollution was primarily caused by effluents discharged by fabric dyeing units which surround the river, local media reported Thursday. Treated waste is often mixed with untreated sewage and deposited into rivers and around 300 sewage treatment plants in India are under-utilized and poorly positioned, according to environmentalists. Pollution board officials could not be reached for a comment.